Increases comfort and reduces back tension by maintaining the stress-free lumbar curve of your lower back. 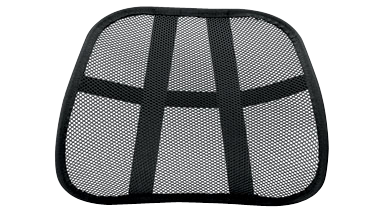 Mesh fabric allows air to flow through. Fits on most chairs. 15"W x 17-3/4"D x 5"H.